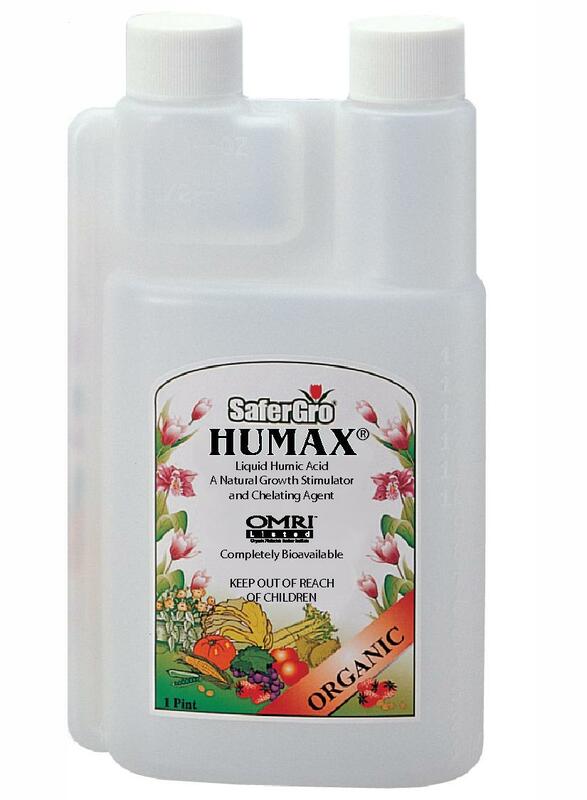 SaferGro Products › Humax 1Pt./16 Oz. Humax is concentrated liquid humic acid, considered to be the “Black Gold” of agriculture, is extracted from organic leonardite. Research indicates that humic acid increase nutrient availability, promote nutrient uptake and stimulate plant growth. The colloidal nature of humic acid allows it to absorb large quantities of water and thus increase the water holding capacity of soil. Humax is an all natural extract, and is listed with The Organic Materials Review Institute (OMRI). 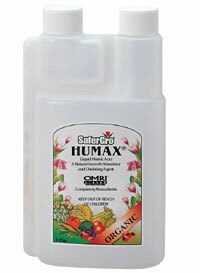 Humax can be applied as a soil application through sprinkler or drip irrigation, and well as hydroponic systems. Also available in Quarts.